Stream the New Holiday EP from Los Campesinos! Welsh six-piece Los Campesinos! 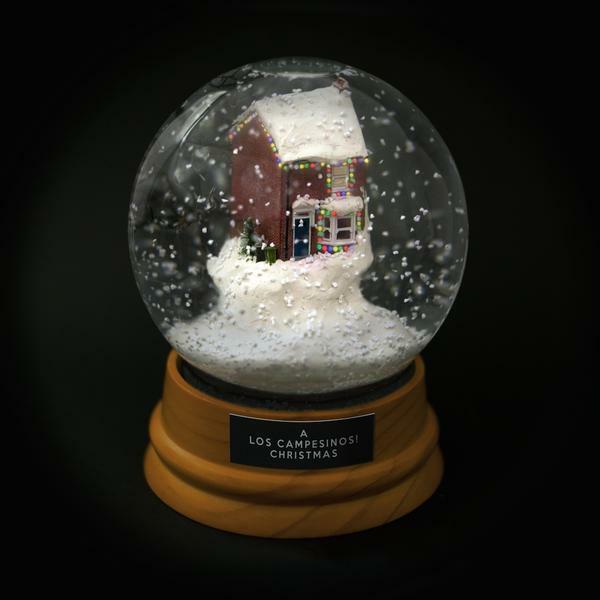 can help you get into the Christmas spirit thanks to an early stream of A Los Campesinos! Christmas EP on Pitchfork Advance. Last month, I wrote a little piece on some alternative holiday music that you wonderful readers could listen to instead of the traditional tracks that get blasted on repeat from the beginning of Novemeber. Well, it's December now, so the relentless sonic tide of seasonal songs is a bit more bearable, although as someone who worked at a grocery store for three-and-a-half years in high school, there's only so many times one can hear Paul McCartney's "Wonderful Christmastime" before losing their mind in the produce section. Anyway, it's hard to avoid Christmas music, so you might as well take advantage when good bands decide to stuff your stockings (read: ears) with some appropriate presents (read: time-appropriate music). Welsh sextet Los Campesinos! is the latest band to tackle seasonal songs with the upcoming EP A Los Campesionos! Christmas. While the indie rocker's latest EP doesn't come out until Dec. 8 via Turnstile/Heart Swells, you can go ahead and stream the six-track offering thanks to Pitchfork Advance until Dec. 5. The exclamation point-loving group have quite a solid discography going so far, including 2013's excellent No Blues, and A Los Campesinos! Christmas EP doesn't disappoint. While many bands would add plenty of seasonal elements like jingling bells into the mix for a holiday album, Los Campesinos! refrain from adding a sickening amount of sweetness to these tracks, saving the Christmas magic for the lyrics. It's a lot of fun, which should come as no surprise from a band with songs like "Avocado, Baby" and a frontman who suggests Half Man Half Biscuit's "RSVP" as one of his preferred break-up songs. Click here to get your fill of A Los Campesinos! Christmas and enjoy songs like the jaunty "When Christmas Comes," the pretty "The Holly & The Ivy," and a special cover of Mud's 1974 song "Lonely This Christmas."